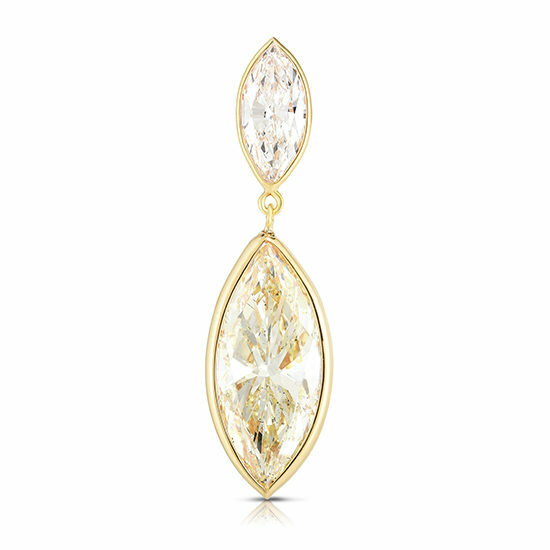 Beautiful and unique, this 14k yellow gold diamond drop earring is one of a kind! This single earring features a 10.01 carat P/Q color SI2 clarity Marquise diamond and a 1.59 carat G color VS1 clarity Marquise diamond. While this earring is sold as a single earring, it can be special made as a pair by request and in your desired carat weight. Price available upon request.